Explore the breathtaking Multnomah Falls, then stop over in downtown Hood River, Mt Hood and experience the Columbia Gorge. This can be either a wine tour, nature tour or both. 7-8 hour tour. 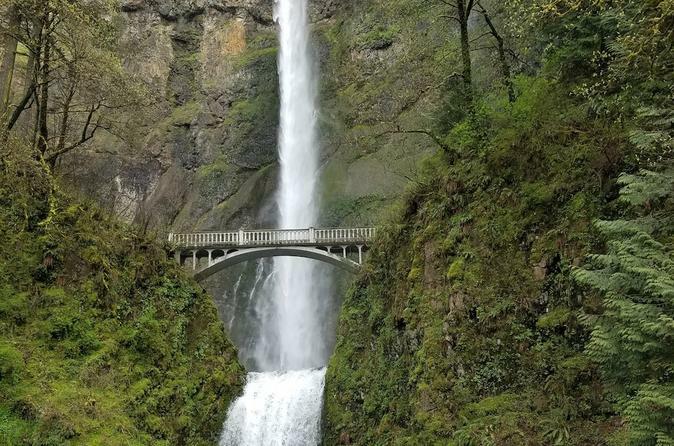 Explore the breathtaking route along the Columbia Gorge, we will stop on our way at the iconic Vista House then walk a short distance on a trail to see the Latourell Falls, and finally indulge in the beauty and wonder of Multnomah Falls. We will the continue our head east along the Columbia river and wonder around the quaint downtown Hood River shops and restaurants where we can have lunch. Customers will have the option of either going to see Mt Hood and the Timberline lodge or explore a vineyard and do a wine tasting on the Washington side or Oregon side of the river. Expect a full day 7-8 hour tour.